Can you see it? Look closely. Right there, in the middle of the flowing water, positioned along side hundreds of immersed shapeless stones, lies a simple heart. I pass this stream often on my daily runs. Sometimes, I stop along the bridge that crosses the creek and ponder. Today was a day for pondering. It was time for prayer. I felt alone and unloved, almost forgotten…and then I saw the simple rock skimming barely above the water to remind me of His love. It was yet another tender mercy. And I know I am loved…always. There are various challenging elements each person in the group is invited to participate in but are never forced to perform. It is truly something that challenges each individual in a personal way if he/she choses to engage in the experience. After each task is completed, the instructors are encouraged to seek discussion with regard to the exercise that inspires deeper meaning and growth from each participate. This element not only required two harnesses, a helmet, spotters, a belayer and anchor, but the ability to climb 25 feet up a small pole. Climbing the pole for some might have been challenging enough, giving the participant the liberation of scaling “new heights.” But that was only the first obstacle. After making way, one small rung at a time, the person was then required to position themselves standing on a small “dinner-plate” sized disk…THAT ROTATED! 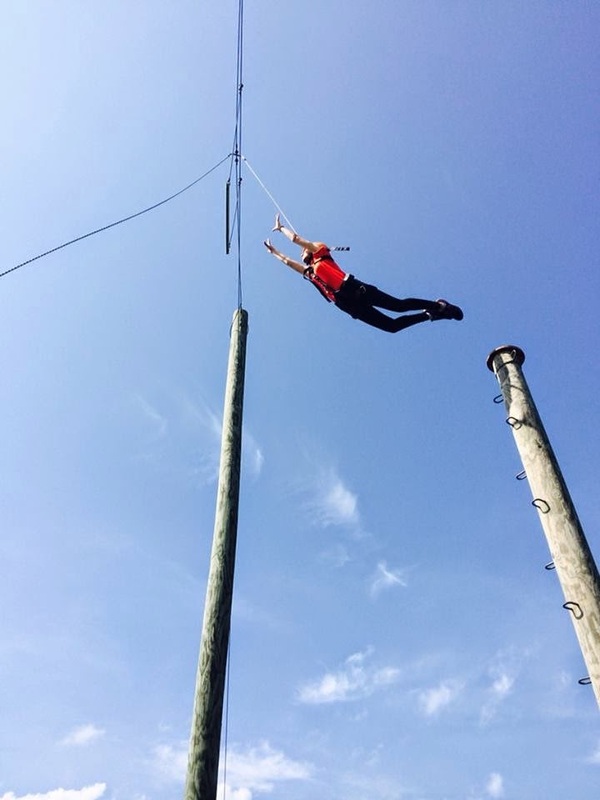 Finally, positioned atop, heart pounding, the participant was asked to now take a “leap of faith,” by jumping forward in an attempt to grab hold a trapeze swing some 8 feet in front of the pole. Now, how many of you are asked to take your “leap(s) of faith?” Most likely, you begin by simply looking up at a tall pole. You think, “I can’t do that!” After wobbling your way to the top (you did it because we all have to go through challenging situations), you assume you have completed the task. Whew! Just as you climb up to your secure little perch, you come to the realization that this…assignment, burden, trial, expectation, calling, duty…ISN’T OVER! The hardest part is yet to come. It is time to perform the ultimate challenge, a “leap of faith.” You are required to do something you deem impossible. Although you are secure with harnesses, anchors, belayers, spotters…you are still full of fear. When you climbed the pole, you could see the handholds, you could hold on! You also were well aware of the height of the pole. You could also see the top. But leaping…that requires serious faith, for true faith is “hope for things which are not seen, which are true.” And if you are expected to leap forward and grab a small trapeze bar that leaves little comfort, that becomes a truly challenging personal experience. Everything in life, be it 20 ft poles or real, everyday challenges, can seem daunting and truly impossible. But when we find ourselves at the top and overcoming those challenges full of faith, we can achieve personal fulfillment and blessings previously unknown. So take that “leap of faith”! 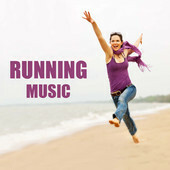 I have just created myself a new running playlist. It is rather amazing if I say so myself (thanks to Sommer too). I tried it out today and was impressed at my workout which definitely had more pep in each step! Jen, Linda, Kristi, Vanessa, Erin, Jamie, VDOT, Frank, Pete, Matt, Rob, and EVERY DEAR RUNNING PARTNER I HAVE EVER HAD....why does life have to be so busy? If you have any favorites, please share! Yesterday while at the music store, I came across the clearance section. There I stumbled upon a huge section of Christmas music. I couldn't resist and ended up purchasing quite a few pieces. Luckily they were 75% off...even better. So last night I found myself at the piano. I opened one book, filled with random Christmas favorites. It was there, I saw the song, "Still, Still, Still." I began to play the music, its melody surrounding me, its simple message ringing in my ears..."Still, Still, Still." How ironic that the birth of our Savior was so still, simple in every way...and yet the world has created so much holiday hoopla that the "still of it all" isn't so quiet anymore. It's LOUD! It's GREEDY! It's NOW...sparkly decor raucously placed in parking lots, banners begging for holiday buyers on every corner, the SALES, the STRESS. No still. The sacred stillness of the season is masked in the craze. Can we take ourselves away from the hyper activeness that the Christmas season has become and simply, be still? 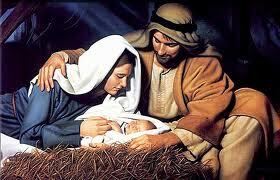 As Thanksgiving ushers in hearts full of gratitude, may we take moments to be still and remember Him...our Savior who came so humbly into the world to teach us to stop and listen and then follow...HIM. Not a sparkle needed. No shouting necessary. No purchase required. Just a willingness to be still, listen and follow. And as a special treat, here is the Mormon Tabernacle Choir singing, "Still, Still, Still," as the story of Christ's birth is shown. As you watch, notice all of the people in the crowded town, consumed with the bustle of life, not knowing what is actually going to transpire that very night. I am a songwriter. This is because, well, I have written a song. Yes, moi, the sister of Hilary Weeks (singer and song writer extraordinaire) has written a song too. Duh, I totally would be an obvious candidate for song writing with a sister like that. So...I wrote a song many years ago. In fact, it was so many years ago, I can't remember when...or why...or even HOW I did it! Seriously, how in the heck does one even write a song! I figure, if by some odd chance one could come up with a melody (odd chance it happened to me many years ago) and some lyrics are created, then BAM!, you are a song writer (or at least a one hit wonder in my case). The song in which I am referring to is entitled, "Pollywog." It is absolutely the stupidest song in the world, with its catchy nonsensical (totally dumb) lyrics and simple tune. And yet, it continually pleases audiences of all ages, cultures and classes. One day I was walking and I saw a dog. Her name was Lucy and she called me Pollywog. I said to her, that is not my name you silly dog. I said to her, "My name is Fred. Polly, polly, polly, polly, polly, polly, polly, polly, polly, polly, polly...wog. I went to my house and started to run, saying to Lucy, you ain't much fun. I have me some legs and breathe in the air, if you don't see it, you really don't care." After the teasing from that old dog, I see myself in a puddle and there stands a frog. Oh my, I sigh and realize on the spot, indeed I was a polly and I had been caught. Is that not a seriously inspirational song? Not only was it performed while I was in high school on many occasions, it had a four part harmony while I was a missionary in Denmark (I wish I had that recorded). It was sung at my wedding (thanks dad) and played during an awkward moment last year while waiting for a piano student to arrive (full house too). And today I sang it for the middle schoolers in their chorus class. Bam...a total success. Now, if only I could come up with some cool dance moves to go along with it (think Gangnam Style) and I would be set for life. Not everyone is out to judge you, they are simply loving the you, you have become. 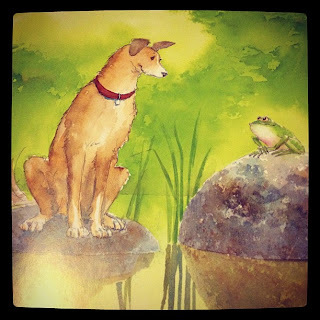 Some know it all dog, named Lucy (with her own self esteem problems), is going around taunting and teasing the new kid in town, Fred. He just moved to the area, just up from the bog around the corner. Just trying to fit in, he doesn't understand why this mangy mutt is following him around, chanting some "pollywog" nonsense. It really is a song that morphs (hence the pollywog title) into any meaning to anyone. I love you "Pollywog" and always will. 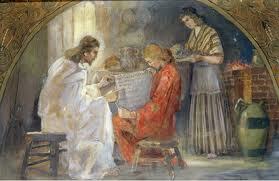 I was reading in Luke, chapter 10 the other day, I came across the story of Martha and her sister Mary. We read that upon Jesus' arrival, Mary immediately sits at His feet to listen to His word. Later, after Martha has been "cumbered about much serving," she says to the Lord, "Doth thou not care that my sister hath left me to serve alone? Bid her therefore that she help me." Jesus' response surprises many of us (as I am sure most of us have felt this very way), "Martha, Martha (I love how he says her name two times...I feel the love and understanding He must have for her), thou art careful (which means worried) and troubled about many things...but one thing is needful: and Mary hath chosen that good part, which shall not be taken away from her." I have read this story many times and have honestly been a little frustrated by His response. While I completely understand his explanation of Mary choosing the "better part," I can't help to have sympathy for Martha. I mean, who doesn't start cleaning "madly" upon hearing a friend is stopping by? We quickly straighten, light a candle and pop in a batch of cookies. And if we are having really special visitors, we go all out, cleaning the entire house, baking, placing centerpieces perfectly...we do anything and everything to make our guest feel at home. So here we have Martha, most likely preparing a lovely dinner for their special guest...feeling exhausted, wanting to join Mary at Jesus' feet but knowing the work needed to be done by someone. But this time as I read these verses, instead of feeling like Martha was getting chastised, I felt she was given a simple reminder. As we go through this life, there is truly only one thing that is needful...and that is our willingness to follow our Savior. Too many times we feel we have to have the cleanest house, the skinniest bodies, the nicest cars, the best Sunday School lesson, the perfect children...and we become worried and troubled about many things...and with many people (who should be helping us). But really, these things aren't important at all...and I think Martha knew that (and Christ gently reminded her). Each of us are invited to bring all of our worries and troubles and for a moment sit at Jesus' feet. It is here He can comfort. He can heal. He can remind us what is needful...Him. And then, when are "recharged," we can go about life's responsibilities. ...As you would have others "Boo" unto you! 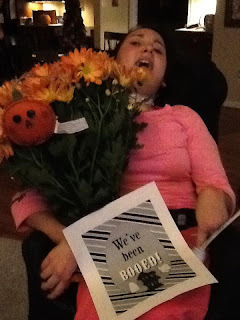 The Halloween tradition of "booing" a neighbor is simply delightful for all ages. It is fun to do the booing, and feeling the love of being booed. While I was visiting my parents in Utah, they happened to be "booed" one evening. Although they were a tad bit confused at first, I quickly explained the entire process, getting them both excited about picking two friends to share goodies of the season with. Now, it was all fun and games until I was the chosen "runner," to place goodie at doorstep, ring doorbell and RUN! I think I looked pretty silly running down their street to the safety of their home without being caught. Once inside, we all giggled, excited about their friends receiving their "boo!" "Doing unto others, as you would have them do unto you." And so upon my return, it was time for our family to do a little "booing." We LOVE to boo our friends, the Leaps, especially their daughter, Brittany. One evening, after gathering a little treasure, Ethan and Tate, quietly walked down the street with our treat. Knowing how great it makes my children feel when our doorbell rings and a mysterious treat is left on our doorstep, they couldn't wait to do it themselves...sharing the happiness. And so it goes...when you serve others, you not only bring happiness to others, you feel pretty darn good inside too (even the moms, grandmas and grandpas). It Just So Happens...You Can Follow Me! I Know, Now U Know! I am a wife and mother of five children. After running and running and running my second love it teaching. Whether I am with my darling piano students, substitute in the school or prepare a lesson for church...teaching rocks! I loved sharing my thoughts on EVERYTHING that HAPPENS (I know, this can be irritating)! From saving money on the things I love, or spending too much money on...well,the things I love, I write about it. It may be an amazing run I had or a horrible run I ran...I will let you know. Everything happens, whether we like it or not...so why not share it! ?